This website is best viewed using the latest version of Internet Explorer, Chrome, Safari, Edge, and Firefox browsers. How Samsung Semiconductor is leading tech innovation and making the connected devices of tomorrow possible. The best and brightest minds come to Samsung Semiconductor's Silicon Valley campus to develop products that will change how we interact with the world and shape our future. Over 1200 employees work at Samsung Semiconductor in Sales & Marketing, R&D, and Strategy & Innovation teams. Our Semiconductor division is focused in five main business areas: Memory, Foundry, Display, LED, and System LSI (S.LSI). The products developed by Samsung Semiconductor are used by world leaders in mobile, automotive, virtual reality / augmented reality (VR/AR), smart wearables, Internet of things (IoT), artificial intelligence (AI), and are enabling unprecedented growth in hyperscale datacenters. It's now almost a given that each year Samsung Semiconductor will develop and release new products and processes that will shatter previous performance barriers, enabling the next wave of innovation. Right now SmartSSD, 256GB DDR4 RDIMM, and 7nm LLP EUV process technology have the industry buzzing. How investing in people has made Samsung Semiconductor an unrelenting industry leader. Every employee at Samsung Semiconductor, from engineers to support staff to marketing, has a role to play in creating the right atmosphere to foster innovation. The new Samsung@First campus was designed around that idea. With unrestricted views from almost anywhere in the building - employees have more frequent discussions and impromptu, spur-of-the-moment interactions that are the genesis of many great ideas and bonds between our employees. A healthy work/life balance is paramount to being productive. Our campus is equipped with a Chill Zone, full gym, volleyball and basketball courts, putting greens, bocce ball, table tennis, pool tables, nap pods (zzz), @First cafeteria (yum! ), and beautiful green spaces. Samsung Semiconductor is committed to improving the lives of others and building a better community through fundraising events, charitable donations, beautification projects, and education initiatives. We don't just imagine the impossible. We dare to create it. Our vision for a future where new technology improves our lives and expands our understanding of the world (and beyond) has less to do with revenue and more to do with advancing humankind in big and impactful ways. Technological breakthroughs are all in a day’s work for Samsung Semiconductor. It’s a mindset. It’s a belief that faster, smaller, more energy efficient memory, drives, and processors are always possible, even when others say it can’t be done. 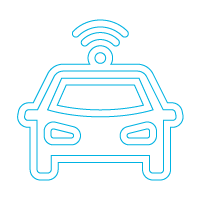 When we deliver a new product, we’re helping to drive growth in some of the fastest growing technology sectors: Automotive, data centers, hyperscalers, IoT, and artificial intelligence. How Samsung Semiconductor technology is driving a connected revolution and a new way of life. We’re working closely with our automotive partners to deliver richer and safer in-vehicle experiences while developing groundbreaking new driverless technology to help make autonomous vehicles a reality. Samsung Automotive DRAM, processors, image sensors, Modem/RF, and eStorage can be found powering ADAS and connected cars all over the world. And we’re one of only a few with an in-house FAB (fabrication) shop, capable of producing custom solutions for top automakers. 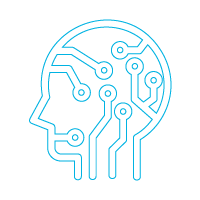 Samsung memory enables some of the most sophisticated AI and Machine Learning applications in the world. In this new era of supercomputing, Samsung technology is leading us into a brave new future. Samsung is inviting all AI and ML PhD candidates to join us at the Samsung Recruiting Booth at NeurIPS (Neural Information Processing Systems) conference, Dec 2-8 in Montréal, Canada. Share this message in your social feed! Samsung’s newest High Bandwidth Memory (HBM Aquabolt) delivers record-setting 1.2 terabytes-per-second data transmission rates (10x faster than GDDR5) while reducing power consumption by 20%. It’s staggering to think what this will mean for AI and Machine Learning. The demand for data processing is exploding and Samsung DRAM, SSDs, and HBM Aquabolt are doing the heavy lifting in data centers everywhere. 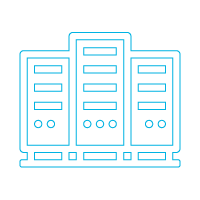 Our infrastructure and manufacturing capabilities make us one of the only companies in the world that can support the rapid expansion of hyperscale data centers. How our relentless pursuit of new technology has made Samsung Semiconductor a fixture on the world stage. How Samsung Semiconductor has helped draw the technology curve (1974-present). Leveraging a new Gate-All-Around transistor structure at 3nm, we’re redesigning SOCs from the ground up to achieve the perfect balance of speed and efficiency. Pushing the limits of speed and capacity to develop faster flash memory and storage for next-gen devices, applications, and infrastructure. 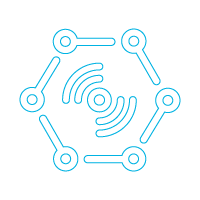 Decreasing device footprints to enable innovations in mobile, bioprocessor, IoT, datacenter, automotive, and beyond. Charting the course beyond 1TB NAND as we continue to redefine industry standards for reliability, security, and endurance. Bringing processing power directly to the SSD itself with SmartSSD, drastically reducing data movement while accelerating lightweight computing. Accelerating flash performance with new circuit and controller design for latency-sensitive, I/O-intensive applications like high capacity caching, NoSQL databases, data stores, and business analytics. Our relentless drive to reduce power consumption means more cost-effective and environmentally friendly devices. Reducing design and production cycle times for high-performance, low-power SoCs from months to weeks with proprietary 7LPP EUV process node technology. Preparing for the ADAS driving revolution with our super-fast '5G-ready' telematics system built for today’s 4G networks and future 5G networks. Opening up new frontiers for smartphones and VR with future display tech like Infinity Flex Display, Aqua Sensor, Sound on Display (SoD) and GD Glass (1200 ppi). Do you have something special to contribute? Learn more about working at Samsung Semiconductor in Silicon Valley.